KTMtwins.com KTM Motorcycle and Product News: Sidi's Crossfire TA. When only the best will do! 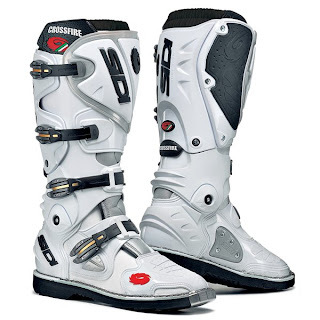 If you haven't had the opportunity to try on Sidi's Crossfire Boots you're missing out. I switched from that other brand to Sidi the day I tried these on. Your feet will thank you every time you ride.